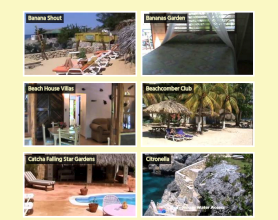 We could not locate any matching places. 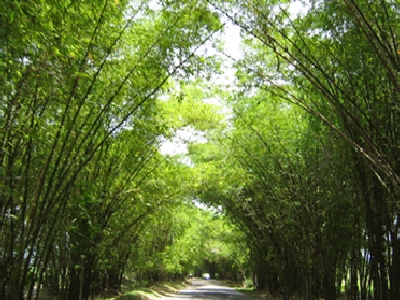 One of the most magnificent sights on the south coast main road is Bamboo Avenue, in the Holland area of St. Elizabeth Parish. Bamboo Avenue is a two and a half mile stretch of road between Lacovia and Middle Quarters which is lined with giant bamboo plants which tower above the road and cross in the middle to form a shady tunnel. The avenue was established in the 17th century by the owners of the Holland Estate to provide shade for travelers and to protect the road from erosion. Enjoy a guided tour of the artifacts that illustrate our history, visit the distillery to see the Copper Pot Stills that impart their distinctive character to our rums and are unique to Appleton. Visit the ageing house where our rums rest in oak barrels. Upon your arrival at the Appleton Estate Rum Tour, you will be greeted with a Welcome Rum Punch, made with Appleton Estate Rum Tour’s special ingredients. You will then enjoy a DVD presentation of the rum-making processes before heading outside for the Walking tour including a visit to the Distillery and Ageing House. Your journey through time will culminate with a Tasting session so you may sample some of the fine products created at the Appleton Estate.